Renting a car can be a great way to explore Europe because it allows you to visit all the tiny towns and villages that 99% of tourist never see. It also lets you slow down and travel at your own pace, or head over to Germany’s autobahn to discover your rental car’s top speed. On the other hand, it’s a terrible idea if you plan on traveling from major city to major city. Many car companies require you to be 21 before they’ll let you rent a car. Drivers under 25 will usually be charged extra ($15-$40/day). These policies vary from company to company. European cities are nightmares for drivers. Traffic is terrible, the streets are very confusing (European cities are not built on the ‘grid system’), and parking is very expensive. A car is great if you want to explore the countryside but will be a huge hassle if you plan on only visiting large cities. An American or Canadian driver’s license is usually valid for European car rentals, but you might want to get an International Driving Permit (IDP). Gas is a lot more expensive in Europe. The cars are much more fuel efficient, but fuel costs can still add up. In addition, there are many toll roads in Europe that can cost anywhere between $2.50 and $32. It is the most cost efficient to rent a car for a week or more. The cost per day goes down drastically the longer the rental period. Car rental companies like to add on all sorts of extra fees, so it is important to know the exact cost when you make the reservation. Showing up at the car rental company only to find that your rental is going to cost 30% more than you realized isn’t a great way to start off your trip. I can’t drive a stick shift so I had to pay a lot extra for an automatic. We booked our car through AutoEurope. The good thing about AutoEurope is that it searches multiple car rental companies like Hertz, Thrifty, Dollar, Budget, Avis, National, Alamo, and a few Europe-specific ones. You can also try using sites Kayak and Expedia to compare prices but AutoEurope has always been my favorite. One advantage to renting from a large company is that they have multiple locations. Booking from a large company might be smart if you plan on dropping your car off at a different location that where you picked it up. You’ll most likely get charged a fee, but the fee might be worth the hassle of getting back to your pick-up location. When booking, if possible, avoid picking your car up at the airport. You’ll get charged an airport fee so try to pick your car up in the city. Also be aware that many rental companies’ drop-off locations are closed on weekends and holidays (Europeans have a lot of holidays). The booking website will usually alert you if the drop-off location is closed on your desired day, but be sure to double check. 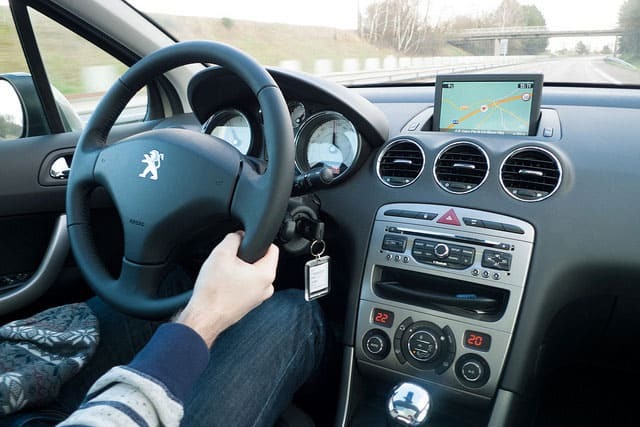 Learn to drive a stick-shift because automatic transmissions are not common in Europe. If you absolutely need an automatic be sure to reserve one week in advance and be prepared to pay a hefty fee. When you get the car make sure you note all existing damage. Some shady companies will go over the car with a fine-toothed comb and charge you for damages they find. For long trips (17 days – 6 months), consider leasing the car to save a lot of money. I used Auto Europe to book my car. AutoEurope – Highly recommended by multiple sources for finding the best price on rental cars. Europcar – Large European car rental company. If you plan on renting a car for a long period of time (between 17 days and 1 year) it might be smart to lease a car. This method might seem a little unorthodox but you can save hundreds of dollars. Like most strange things in Europe, the short-term lease program originated in France. Europeans pay a lot of taxes on new cars, but non-European Union citizens are not subject to these extra taxes. Major car companies lease brand-new cars to non-EU visitors and then “buy” it back at the end of the lease. This way the companies are technically buying a “used” car and they’re not subject to the ultra-high new car taxes. The auto companies then sell the cars to rental companies or used-car dealers for a discounted price. Pretty clever. You can save hundreds when compared to a traditional car rental. Like that new car smell? Your car comes straight from the factory. You get full comprehensive insurance (collision, fire, theft-of-vehicle, vandalism and act-of-God) with ZERO deductible. The insurance is good in almost every European country. You only have to be 18 to lease a car. No extra taxes or surcharges. There are usually multiple pick-up/drop-off locations so you don’t have to end your trip at the same location as you started. No fee for extra drivers. Factory warranty and 24/7 roadside assistance. The car needs to be leased for at least 17-21 days (depending on the auto company). These programs are usually based in France, so you usually have to pick-up and drop-off your car in France. 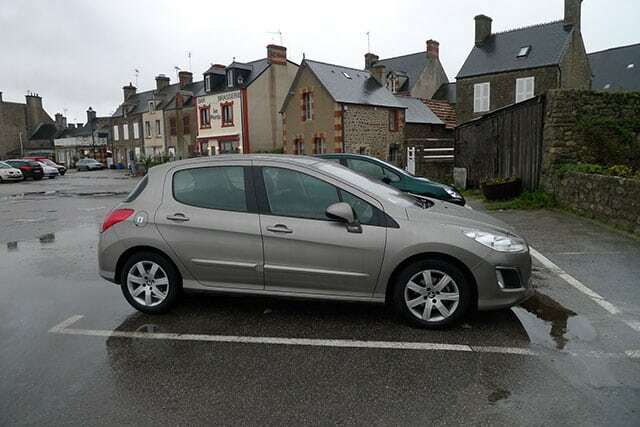 Most companies allow you to drop the car off outside France for an additional charge, but you don’t have as many location options compared to a large rental-car company.